Bolivar Petit Corona | Old Morris Tobacconist Victoria BC, Fine Cigars, Humidores and Tobacco Merchantile. 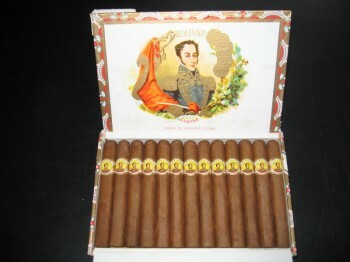 Very similar to the Royal Coronas, exhibiting the high calibre of Bolivar's strong, earthy aromas intelligently blended with smooth creamy undertones. If the Royal Corona is a little too big for your liking, but you dig the taste, try this little guerrilla instead.